#BeachPlease: Must-Visit Underrated Beaches For Your Next Vacay! Vacations by the beach are truly the best kind of holidays. Lounging in pretty hammocks, wiggling your toes in the soft sand, letting cool waves lap around your ankles, and the endless canvas of blue, instantly de stressing your senses. 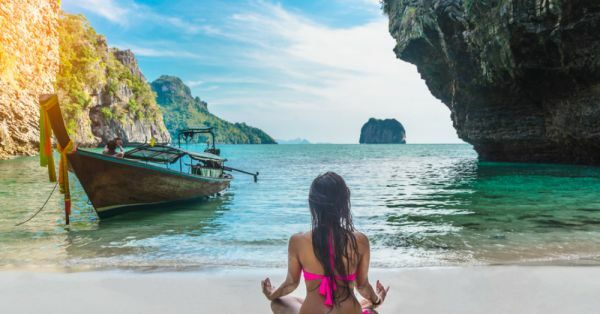 If you’re someone who loves the beach but craves cozy and secluded spots for some alone time, take a look at our pick of the 10 most dreamy and underrated beaches in the world, that are sure to get you packing for your next holiday. Why you should go there: For an offbeat experience, away from the touristy region of mainland Honduras, and dotted with amazing resorts. Soft white sands and activities like snorkeling, scuba diving, and parasailing right at your doorstep, whenever you please. Sunsets overlooking the Caribbean here are the dreams of romance novels! 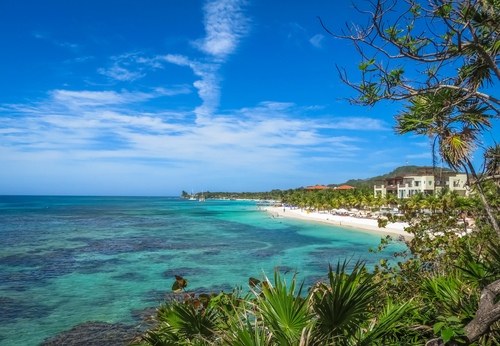 How to get there: There are several international flights and cruise ships (Royal Caribbean Cruise Line and Carnival Cruise Line) that take you to Roatan directly. 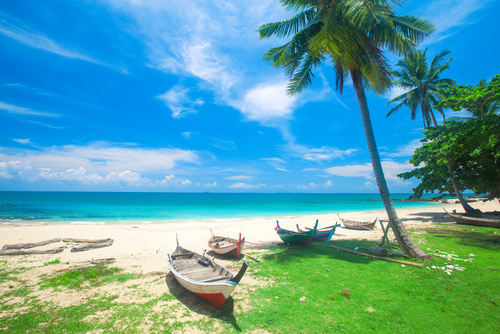 Why you should go there: With its generous hospitality, and being comfortably away from the crowds of other popular places like Phuket, this is also a strong contender for one of the most romantic beaches in the world. Long walks and candlelit dinners by the beach? Yes, please! Coral fringed-beaches, mangroves and rainforests plus a bustling night life here make for a perfect vacay setting. How to get there: There are numerous modes of transportation available for travellers from Krabi Airport to Koh Lanta, including taxis, ferry, and minivans that transfer you to and fro from the destination. Why you should go there: It’s a tricky beach to get to, either by hiking or driving down narrow roads. But once there, you have the breathtaking view of the Kaluahine and Waiulili waterfalls set into gorgeous 2,000-foot cliff walls, backed by a sprawling rainforest. Some quality alone time, guaranteed! 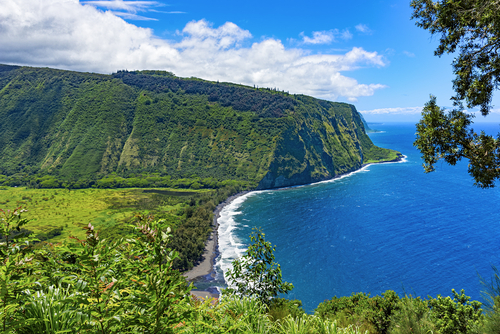 How to get there: Make your way to the Hamakua District of the Big Island of Hawaii. Since the road to the valley is steep and quite narrow, it is advised to rent a four-wheel drive or hike right down to the valley starting on the road named Waipi'o Valley Lookout. 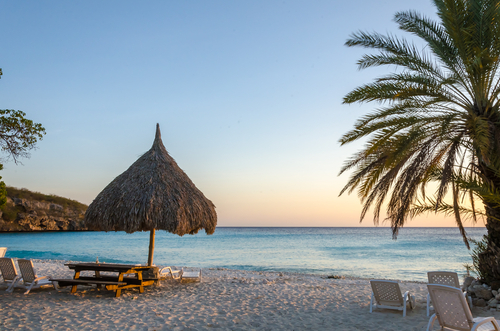 Why you should go there: More than 30 different beaches lay fairly unexplored in Curaçao with beautiful weather the whole year, and calm waters with perfect temperatures for divers and marine life enthusiasts. Depending on your fancy, you can pick beaches with trendy restaurants and monuments dotting the coasts, or one with just bountiful nature sprawled for kilometers. Are you tempted yet? Why you should go there: Known to be a surfer’s paradise, Barbados houses the popular Soup Bowl, located on the east coast, where you can catch the best waves for the thrilling sport. The white-sand beach is also the ideal spot for some stunning nature photography to make your Instagram feed totally drool-worthy. 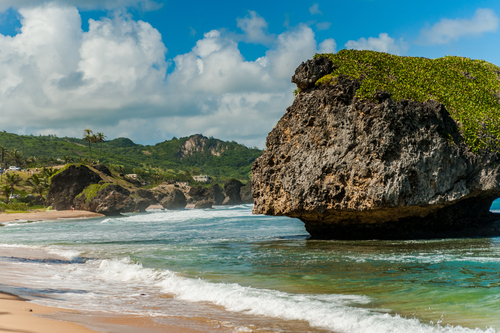 How to get there: Once you land in Barbados, on the numerous flight options available from cities in India, you can either take buses, taxis, or even hire your own car and drive up to the destination. Why you should go there: If you’re an avid hiker, this spot must feature on your list of places to explore. Of the three Olympic Coast beaches, the Second beach makes you forget you’re near the coast, as you hike through the dense forest growth until you hear the sound of crashing waves escalating in volume, and you come to a stop at the most surreal view you can ever imagine. 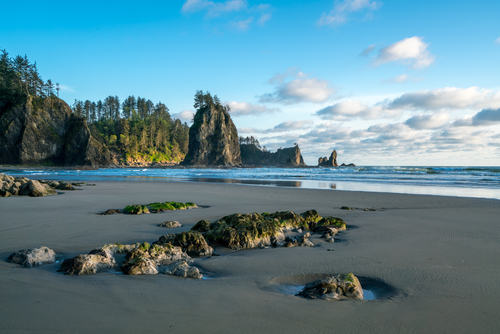 How to get there: From Tacoma International Airport in Seattle, take a four-hour drive to the Olympic National Park and find the Second Beach trailhead on the Quileute Reservation. Why you should go there: The smallest, but the prettiest of all islands on the list, Tikehau has white and pink sand beaches, one of the clearest in the world. 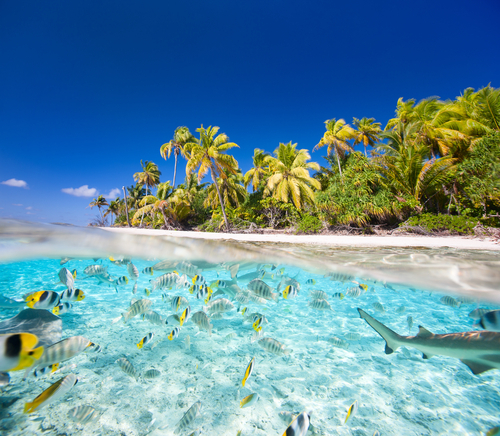 A plethora of fish species frolick just beneath the crystal blue ripples of the water, giving you not even a moment’s hesitation to don your scuba gear and jump right in. How to get there: By air, a lot of international flights will take you to Faa'a International Airport from where you can take another flight to Tikehau. There are also cruise options available to get to the island, by sea. Why you should go there: Also called Cathedral Beach, this spot makes sure you put in the effort to get there! Once you do, you’re rewarded with a view to die for, and most of the time, not many human beings in sight! 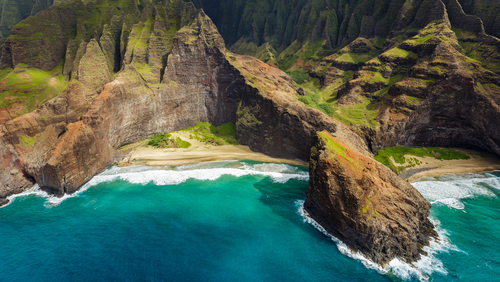 How to get there: Since it’s accessible only by water, swimming from a boat offshore, or the nearest beach (Kalalau) are your best options to reach the destination. Why you should go there: A region that gives you a choice to pick from 50 sandy beaches? Yes, it exists! It’s also a well-known fact that the waters in El Nido make the crystal blue Caribbean Sea look very turbid; it’s just that beautiful. 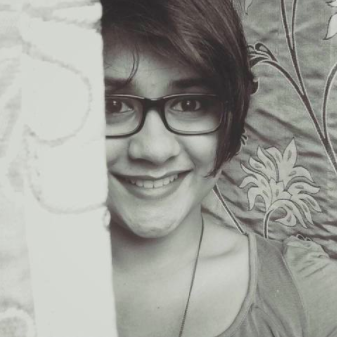 Let’s not even get started on the dazzling sunsets that will ruin every other view for you, for life. 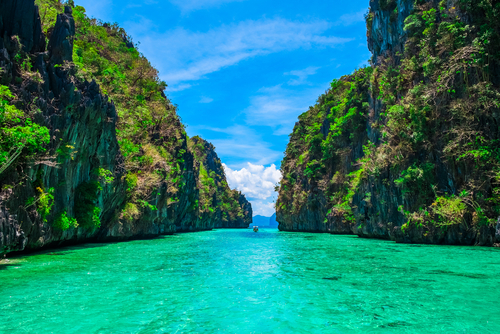 How to get there: Once you land in Manila, take a direct flight from there to El Nido, to take the fastest route to Palawan. Why you should go there: Untouched, unexplored, and unbelievably pristine - these are the words that come to mind, when you speak of Cumberland Island. 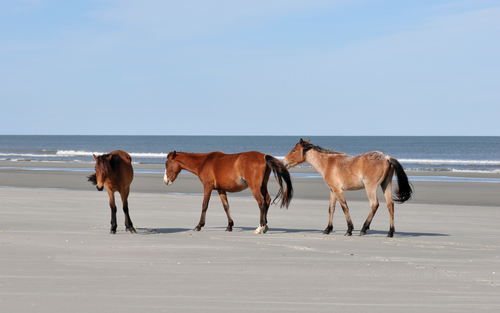 A paradise that is home to lovely wild horses, and speckled with marshes and dunes, you won’t find a more secluded spot to forget your worries. How to get there: Jacksonville International Airport in Florida is the closest airport, which is approximately a 46-kilometer drive from Cumberland Island.